Are you thinking of applying for the Defence Forces of Ireland? Your application has a number of different steps, each of them difficult in their own way. Our custom-made Cut-e-style practice tests will give you the skills you need to get through. Do you have what it takes to pass the Defence Forces Ireland recruitment process? These PrepPacks™ have been specially designed to give you the skills you need to increase your understanding of the subject matter and boost your confidence before even sending out your resume. Join JobTestPrep and pave your way to success. "According to me it is the best online platform for tests preparation!" Cut-e's numerical reasoning test measures analysis and evaluation skills of complex numerical information. The questions are all based on tables and graphs shown in six separate sheets of data. Each question is a statement that can be true according to the data, false, or the information is insufficient to decide. Arriving at a conclusion requires finding the relevant datasheet and then interpreting the data correctly. This has to be done quickly and efficiently, as there are only 12 minutes to answer 37 questions in total. Becoming familiar with this special test format and practising all these different skills is necessary to be ready for the real test and pass successfully. Our practice pack includes test simulations, explanations, and basic maths guides and exercises which will help you perform to the best of your ability. Defence Forces Ireland Cut-e-Style Verbal Reasoning Tests: This Cut-e test assesses the ability to retrieve information and draw logical conclusions from verbal data. The information is organised in six tabs. Each tab contains a short text divided into 3-4 sections. Only view one tab may be viewed at a time, and each question presents a statement referring to one of the tabs. Your task is to select the relevant tab, review its contents, and decide whether the statement is true, false, or perhaps the provided information is insufficient to decide either way. As there are 49 questions to be answered within 12 minutes, this is no easy task. Preparing in advance can be the key to perform to the best of your ability on the real test and pass to the next stage. Defence Forces Ireland Cut-e-Style CLS Tests: Cut-e (Aon)'s scales ix test focuses on the candidate's ability to recognize patterns. The test is based on figural, non-verbal content. A different series of nine shapes is given in each question. There is a pattern that is common to all of the shapes but one. There are five minutes to find the odd figure in 20 given series, so there is time pressure as well. Becoming familiar with the possible patterns and practising their identification will help develop your own technics resulting with more questions answered correctly and shorter response time. Defence Forces Ireland Situational Judgement Tests: Defence Forces Ireland Situational Judgement Test (SJT) presents you with real-life scenarios to find out how you would handle situations you could encounter in your work. Whilst the layout of the test can vary depending on the test provider, typically you would read a description of a situation followed by multiple choice questions. You should select the for you least and most likely reaction out of the options. This test provides your prospective employer with the information to decide if you suit the company’s work environment. Defence Forces Ireland Abstract Reasoning Tests: Can you identify rules & consistent patterns or easily explain the next step in the sequence? Your abstract reasoning test provides your future employer insight into your overall intelligence and judgement and by understanding the meaning behind the information and data and to offer solutions to problems at a level of abstract thinking. Competition in the labour market has always been fierce. Nowadays, however, to even get to see anyone in the company you need to pass through their filters. This is done through really excelling in the online assessment tests. At JobTestPrep, we try and help you get the job you want with our specially designed PrepPacks™. Our sophisticated resources will sharpen your knowledge and skills and will help you shoot ahead of your competitors. Increase your chances of receiving a wished-for job offer by practising with JobTestPrep’s tests, drills, and study guides. You should be ready to participate in Defence Forces Ireland’s telephone, video, and in-person interviews. These can take place as part of the pre-screening process, the hiring process, and the assessment centre. Initial interviews allow you to elaborate on your CV and you should take this chance to stress the experiences and skills that make you qualified for your desired position. The majority of the interviews, however, have competency-based questions which you should answer by providing examples of past experiences demonstrating your aptitude for the job. Interviews can also include riddles, role-plays and assessment tests. Use JobTestPrep’s Interview PrepPack™ to enter your Defence Forces Ireland Interview with confidence! Why Does Defence Forces of Ireland Use Aptitude Tests? Defence Forces of Ireland use aptitude tests in order to assess your abilities for the job being offered. They also use them to evaluate your compatibility and cooperativeness in the workplace. These tests are generally multiple choice and scored based on the number of questions you have answered correctly. Your score is then compared to those of other applicants against the average score. There are four major professional categories that Defence Forces Ireland Situational Judgement Test is used to assess and measure. These are Communication skills, Teamwork, Decision making and people skills. The segment on Communication skills assesses your ability to emphasise and select the best method of communication on the individual level. Teamwork measures you on how effectively you can encourage your team and when you know to put the team before the individual. The segment on Decision Making looks to uncover your innate ability as a problem solver and capacity to mitigate an alleviate confrontations. Is It Necessary to Prepare Prior to Taking the Defence Forces Ireland Cut-e Tests? 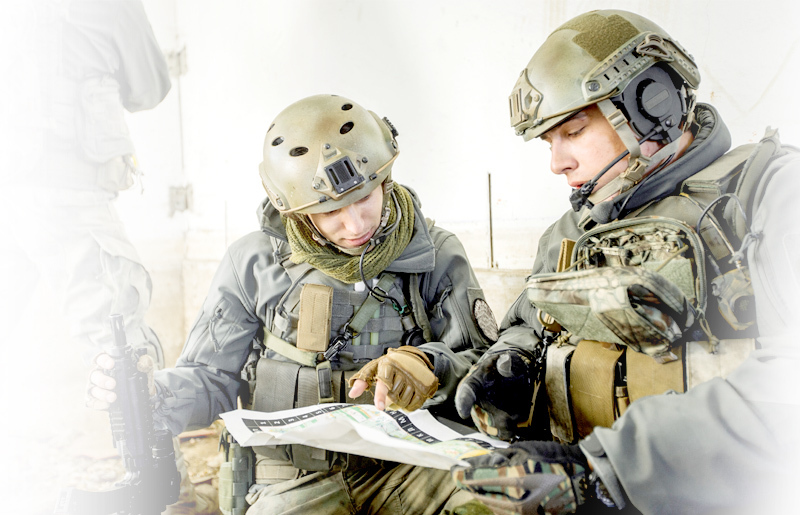 Taking the time to familiarise yourself with the structure of the Defence Forces Ireland Cut-e tests is essential to eliminating the element of surprise. Understanding the structure of the tests as well as the appropriate responses will definitely give you a leg up on other candidates who will also be taking the same test. JobTestPrep offers countless useful resources to ensure you are prepared come test day. Defence Forces Ireland, Cut-e, and other trademarks are the property of their respective trademark holders. None of the trademark holders is affiliated with JobTestPrep or this website.